​in non-profit leadership and vision casting. "OHA was able to lead our association in a new direction and led us to a point of restructure. We were able to develop the structure that would allow us to achieve our vision. It was Bob's leadership and candid honesty that enabled us to unite and become one association." ​​Robert Lee Perry was born on January 4, 1945, to Bob and Lena Perry in Aurora, Missouri. Reared on an 80-acre farm outside Verona, Missouri, he graduated from Verona High School in 1962. Bob married Nancy B. Whitlow on August 15, 1964, and they had Douglas Robert, born August 15, 1967, and David Andrew, born May 19, 1971. Nancy died at age 49 following an extended battle with cancer. In August of 1993, Bob married Marilyn Christian Nelson, becoming the father of a third son, Seth Prickett. Bob holds the Doctor of Ministry degree and the Master of Divinity degree from Midwestern Baptist Theological Seminary in Kansas City, Missouri. His undergraduate degree is a Bachelor of Science in Education, with a major in Mathematics, from Missouri State University in Springfield, Missouri. 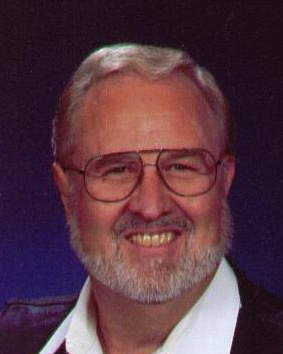 Bob was ordained to the ministry in 1966. During college and seminary, he served various Missouri churches as a student pastor. As a pastor, Bob has served the First Baptist Church of Excelsior Springs, MO, the Capital City Baptist Church of Mexico City, Mexico, and the Pisgah Baptist Church of Excelsior Springs, MO. From 1973 till 1980 he was a missionary with the Southern Baptist Foreign Mission Board, serving in Mexico. He became a Director of Missions (regional minister) in 1984 when he was called to serve the Clay-Platte Baptist Association in Kansas City, MO. In 1988, Bob was called to lead the Mount Vernon Baptist Association with offices in Annandale, VA. He became the Executive Director of the Richmond Baptist Association in Richmond, VA in 1997, where he served until 2003. Since then he has been a freelance consultant and author, working with numerous church and non-profit organizations. In Missouri, Bob has served as a vice-president of the Missouri Baptist Convention, a board member of the Missouri Baptist Foundation and the Cooperative Baptist Fellowship of Missouri. He has served as a staff member of Churchnet (the Baptist General Convention of Missouri) and the Greene County Baptist Association. In Virginia he served on the Virginia Baptist Extension Board, the Virginia Baptist Strategic Planning Committee, and the Capital Fund Development Committee. For 15 years he worked with the Virginia Baptist Center for Creative Leadership Development as a mentor for the Young Leaders Program and a facilitator for the Advanced Leader Lab. He has also been on the Board of Trustees of Midwestern Seminary. In 2002 he was appointed by Governor Mark Warner to serve on the State Board of Health of Virginia. He is now semi-retired and enjoys consulting, writing, preaching, volunteering and spoiling grandkids. Marilyn grew up in Claude, a small town in the Texas panhandle. Upon graduation from Claude High School, she entered Texas Tech and majored in Home Economics. That led to positions as a Home Economist for power companies and as a Junior High biology teacher in Amarillo, Texas and Santa Fe, New Mexico. While at Texas Tech, she met and married Ken Prickett. They became missionaries for the Baptist Home Mission Board in Santa Fe, New Mexico where they operated a mission center. She and Ken later made their base in a motor home, along with their infant son Seth and traveled the country training mission volunteers and working with pastors and missionaries, assisting them in visioning and ministering in new and creative ways. During that time she obtained her Masters in Social Work Degree from Washington University in St. Louis. The Baptist Home Mission Board asked the family to move to Lake Placid, NY where they coordinated Baptist ministries at the winter Olympics. During that time, Marilyn bought and managed the Blue Gentian Restaurant in Saranac Lake, NY. Toward the end of their time in upstate New York, Ken’s diabetes became critical; so they moved back to St. Louis where he could get good medical care. Ken died of diabetic complications two years later. Marilyn accepted the position as Director of Christian Social Ministries for the Washington, D.C. Baptist Convention and Director of the Johenning Baptist Center, located in an economically depressed, predominately African American section of D.C.
Marilyn completed her Doctorate in Social Work Degree at The Catholic University of America, in D.C. Her dissertation topic was Factors Related to Volunteer Commitment in Church-Related Services. Toward the end of her time in D.C., she met and later married Bob Perry. After 4 years of commuting between D.C. and Richmond, Bob and Marilyn settled in Richmond where Marilyn was Professor of Christian Ministry at the Baptist Theological Seminary at Richmond, directing the Supervised Ministry program. Marilyn’s need to have continued hands-on experience in ministry led her to take a key role in the Richmond area Christian Women’s Job Corp. She helped write the curriculum and mentored several women who were seeking self sufficiency. Those one-on-one relationships taught her much about the needs and obstacles poor women face as they seek to be the best single parents, while trying to maintain economic independence. After 8 years at the seminary, Marilyn took a position with Northminster Baptist Church in Richmond as Minister of Community Servanthood. 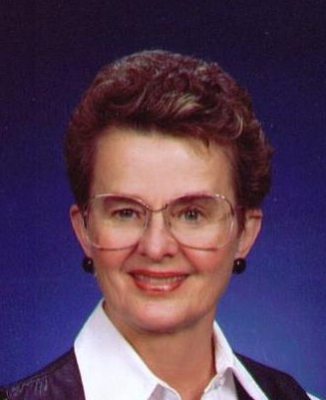 She wrote the material for and led Servanthood Seminars, which helped address the need for church members to find and maintain meaningful places in ministry. When Bob & Marilyn felt the need to move closer to home, they settled close to Springfield, MO. For over a year Marilyn was Director of Residential, Community, and Social Services at The Kitchen, Inc., a homeless shelter and multi-service center. Marilyn served as a staff member for Churchnet, and served on the Board of the Missouri Baptist Homes, Inc. "Team is the operative word for us,'" Marilyn states, "How blest I am to be a team player with someone I respect and love so deeply."